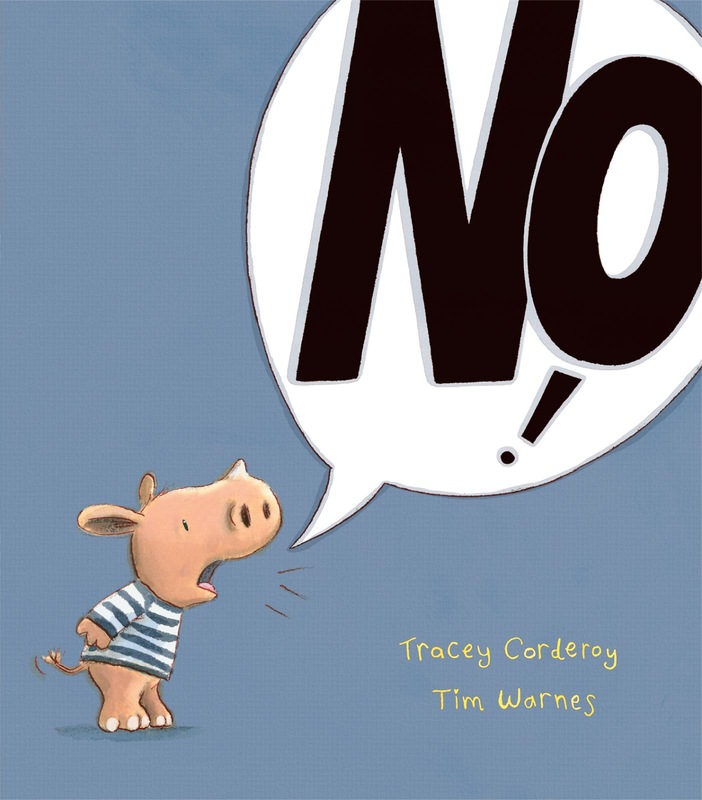 Tracey Corderoy, author of No! visited Read it Daddy! Maxine Lee, author-illustrator of Pi-rat!, visited Storyseekers . Here are the five new titles showcased as part of the Reading Rocks campaign. Abigail the giraffe loves to count. But whenever she tries to count the spots on Ladybird or the stripes on Zebra, they move about, making it impossible. And it is completely hopeless attempting to count the splotches on Cheetah! But when Abigail gets a bit frustrated , her friends are more than happy to help her find something she can practice her counting on. Though this is a great story about numbers and it indeed provides plenty of opportunities for little people to practice their numerical skills, what makes Abigail really special is its absolutely stunning depiction of life and wildlife in the African Plains. Catherine Rayner is a master at drawing animals and in each of her books featuring wild animals, she excels at conveying a sense of place, and space. Here readers can nearly feel the heat of the African sun and the twinkling of the night sky above them. Rayner’s use of scale is also incredibly effective; here Abigail is often too big for the page, which then allows for a wonderful fold-out page at the end. 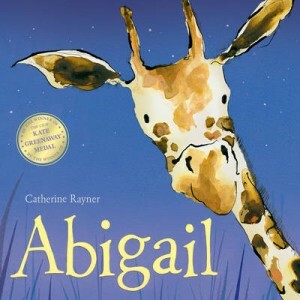 Abigail is a gentle tale about counting, friendship and teamwork with a gorgeous backdrop and yet another sublime offering from Catherine Rayner. Every one loves Bear. He is kind and he is sweet and is always happy to help and play. But there is one big problem with Bear, and that is his bottom. His bottom is always getting in the way of things and always ends up creating havoc. Eventually his friends get cross and Bear goes away really upset. But when a fox turns up with rather unsavoury plans, Bear’s big behind might just be what saves the day. Any book that mentions bottoms is always going to be a winner with pre-schoolers, let’s be honest. 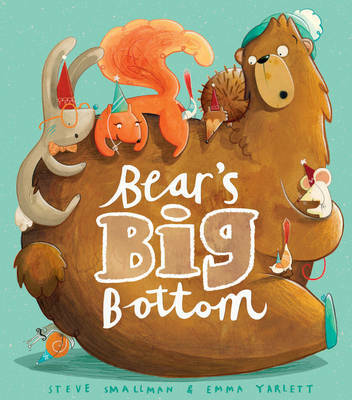 But with its rhyming text and its hilarious and dynamic artwork, Bear’s Big Bottom is a joy to read aloud and share. Behind all the bottom-related antics lies a message about the ups and downs of friendship and accepting and celebrating friends’ differences, and with both text and artwork carrying such gusto, the message is all the more effective. Emma Yarlett is definitely an illustrator to watch – her style is fresh and is full of quirky and hilarious details, and her accident-prone bear does have the best facial expressions. With its slapstick humour Bear’s Big Bottom really is a hoot and will delight little readers. Archie is an adorable toddler … until he learns the word dreaded by all parents: “No!”. It becomes his answer to everything, even when it is not actually what he means to say. It seems he just can’t help himself. This makes Archie, his family and his friends all very unhappy. No! is a great little picture books which tackles toddlers’ first toe-dipping into independence and the challenges this creates for them and the people around them. The confusion felt by toddlers at this time is particularly well conveyed, showing Archie becoming increasingly upset and disconcerted by his own behaviour. Perfectly observed and with plenty of humorous moments (though it might be a bit of a forced laugh from parents at some points!) and tender and evocative artwork from Tim Warnes, No! is a great tale which might ease a few worries from toddlers by showing them that they are not alone in feeling that way. It will also go a long way at trying to make light fun of the situation after a mega-tantrum. Eddie is desperate for adventure. He dreams of flying to faraway places and doing amazing things. One day he meets a friend who is also thirsty for adventure. This friend might be of the canine variety, but together they have a lot of fun. Until Eddie’s mum breaks the news that they cannot keep a dog and must find him a suitable home. But what she does not take into account is Dog’s determination to be with Eddie, who finds increasingly wacky ways to find his way back to his new best friend. Will they find a way to convince Eddie’s mum that they are meant to be together. 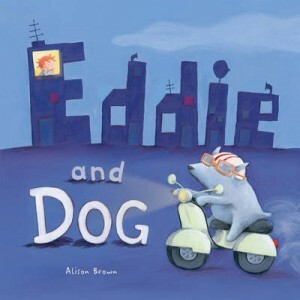 Eddie and Dog is a beautifully illustrated book which celebrates a true and beautiful friendship. Dog remains quite mysterious throughout, and his antics make the story overall quite surreal but this will not bother young audiences one bit. Eddie and Dog is an ode t finding kindred spirits and friendship, but it is also about being resolute and working hard to get what you want. Eddie eventually manages to convince his mother to keep Dog but that’s not without doing quite a lot of work to get to that point. It is one of the books that children will love to read over and over again. Parents beware, you might need to brace yourselves for requests for pets. 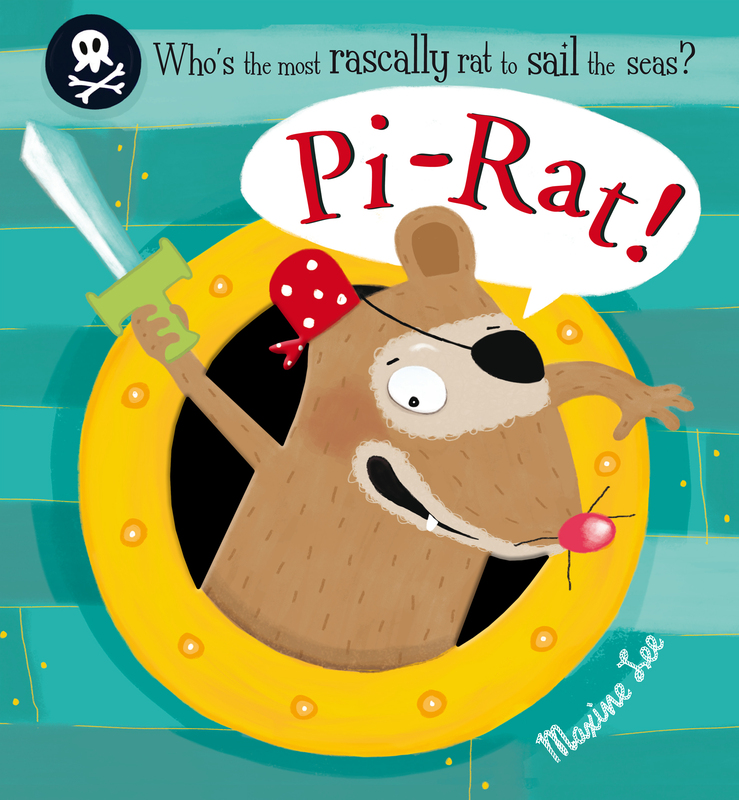 Pi-Rat is a bold and fearless and leads his crew of pirates across the seas on adventures, terrorising any beast that crosses their path. Together they are intrepid and invincible. Or are they? Maybe, just maybe, one monster scares them ever so slightly…. With plenty of expressions worthy of an experienced buccaneer and bright and fun artwork, Pi-Rat! is sure to delight little fans of adventure and all things pirate. The identity of the so-called monster brings a surprising twist to the story, though observant little readers will soon realise that the clues are there all along, for example in the name of the pirate ship, “The Soapy Dodger”. The discovery that this little pi-rat is in fact just playing in the bath with his toys will inspire plenty of similar play by the little readers, as so much imaginative play happens at bath time. With just enough peril to make this story exciting without being scary this will make a great bedtime story or indeed one to read while little ones are in the bath.